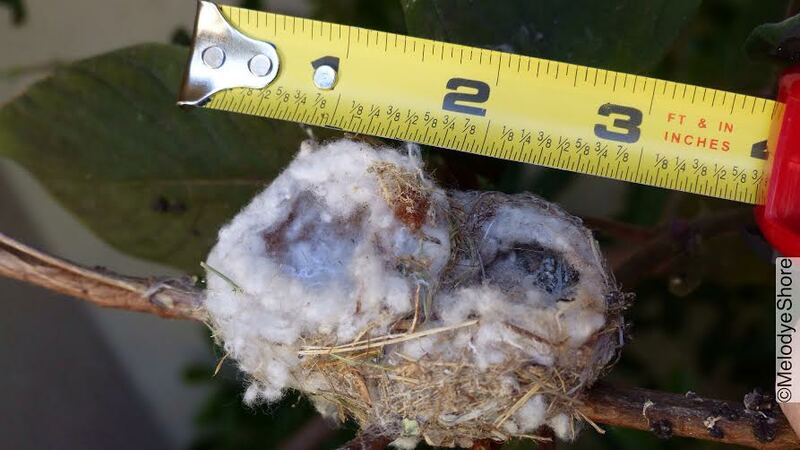 Not long after Walela laid an egg in her remodeled nest, her incubation periods became increasingly erratic. I observed her from the front window, so as not to disturb her. 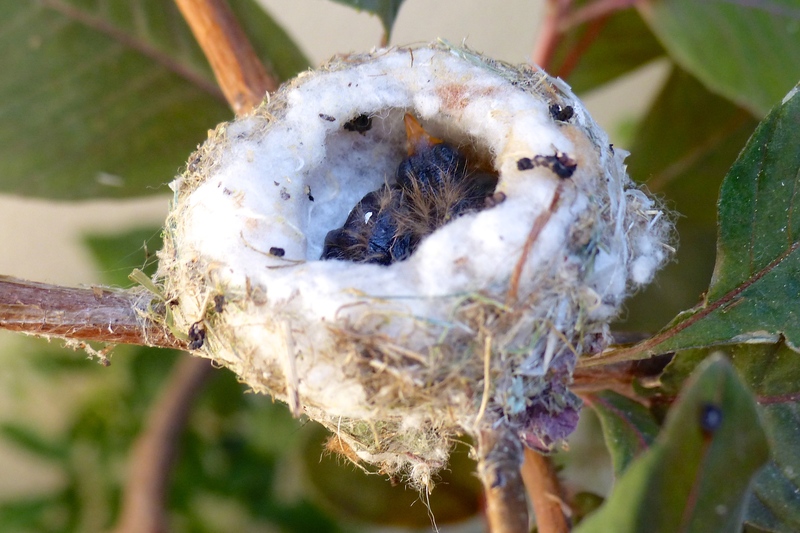 And still, somewhere in that gauzy, cotton-candy pink period of time between dawn and daybreak, last Wednesday–mama hummingbird flew from her nest for the very last time, leaving behind the solitary egg in this, her second brood of the season. There weren’t any signs of violence or struggle—a fact from which I drew some comfort when I stared out my front door at the tiny nursery, suddenly stilled. But on the off chance that there was something I could or should be doing, I sent a private message to my new friend, Carol Meadows. 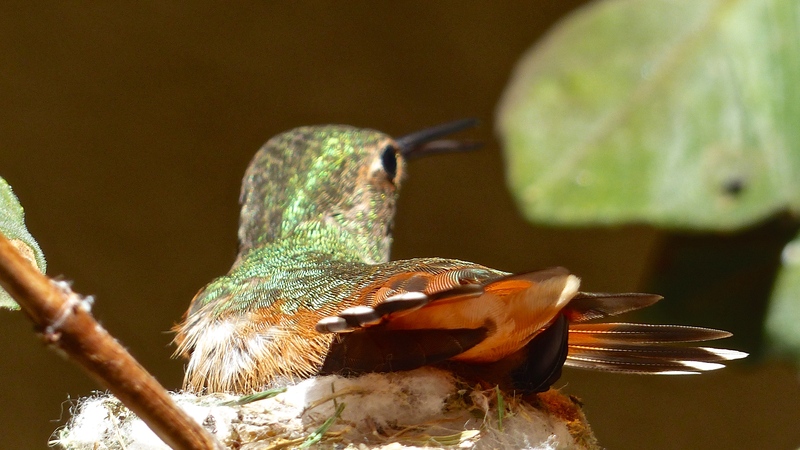 A former moderator for the world-renowned Phoebe Allens Hummingbird WebCam, I thought she might be able to offer me encouragement; maybe, too, an explanation. 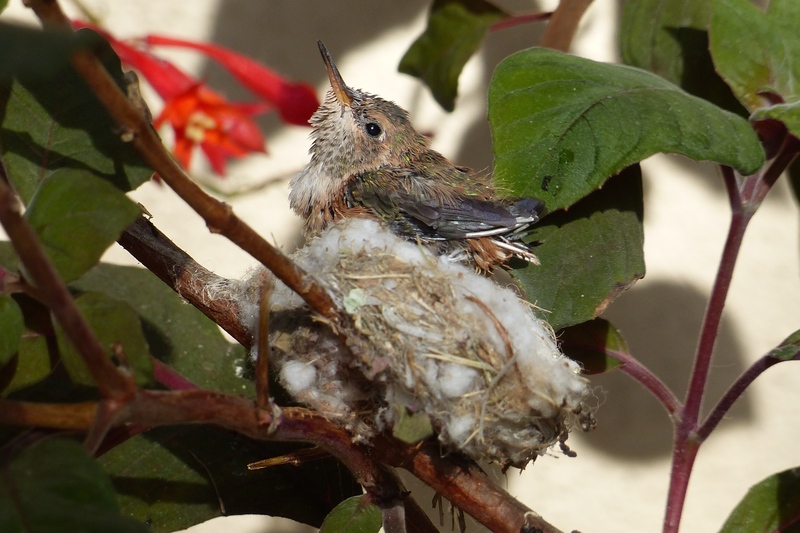 Another hummingbird could’ve chased her away from the nest, Carol said, in which case, other females would steal its cottony fluff. 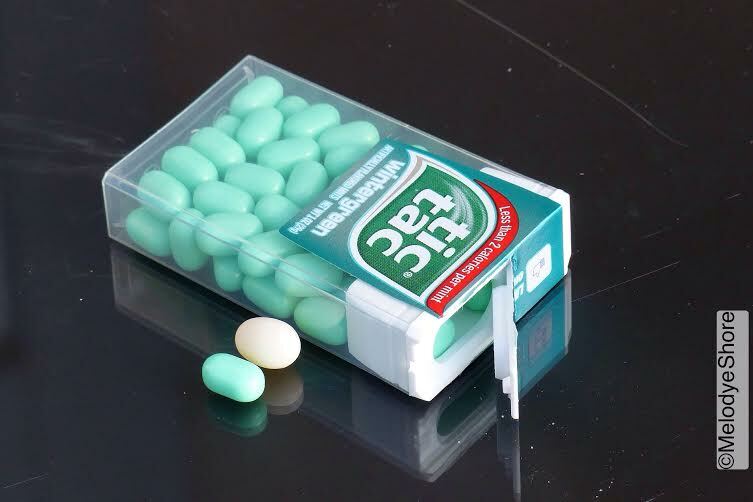 Hmmm, maybe Walela fell sick. It’s certainly possible that she ran into trouble with this heat wave we’re having. But hang on, she might come back! Maybe. Possibly. Let’s just wait and see. 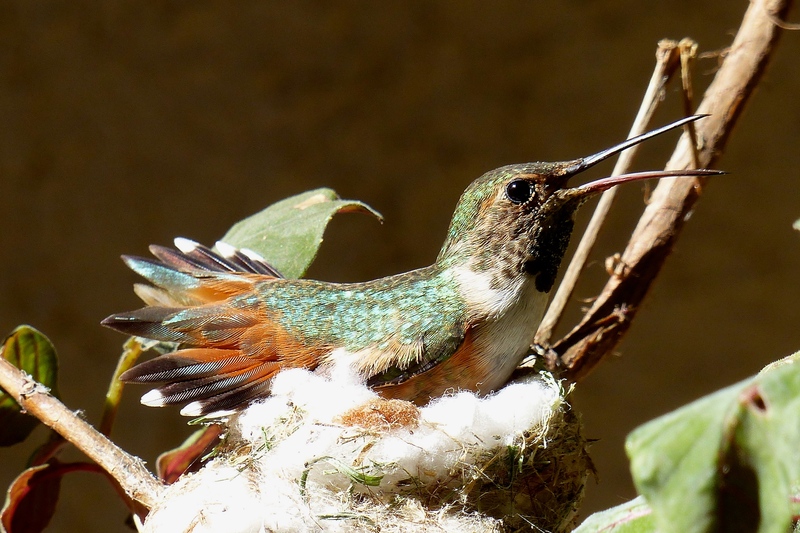 Hummingbirds are ephemeral creatures. They soar on iridescent wings, pure magic, pierce the veil between death and survival everyday, with their long, thin beaks. So no, this situation isn’t at all uncommon. But when you’re keeping a close eye on one of Mother Nature’s creatures–and when like-minded people gather around their screens to share your joy in watching one tiny miracles after another take place–well. I know you’ll understand when I tell you it’s been a real challenge to find the right way to share with you the circumstances that occurred last week, beyond my field of vision. Just yesterday, when I knew for sure that Walela was no longer incubating the egg, I gently scooped it from the nest with a plastic spoon, so as to keep potential predators from homing in on its scent. 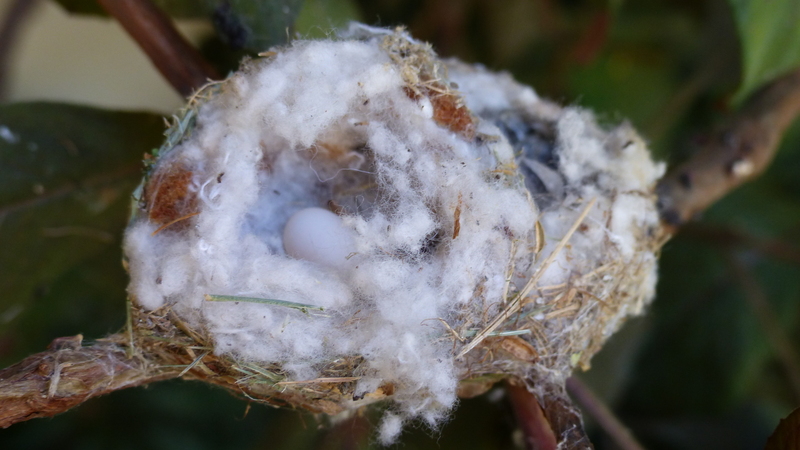 The nest itself remains intact, save for some plundered fluff, undisturbed by human hands. An architectural wonderment, it bears silent tribute to Walela’s innate mothering skills. Please forgive me if this next set of pictures offends your personal sensibilities. I mean no harm or disrespect, but given the time for careful reflection — and the rare opportunity for direct observation—I like to take the full measure of things. Curious by nature, I like to examine things closely, to view things from all angles. Reflective thinker that I am, I like to compare and contrast objects and experiences, and to challenge what it is that I think I already know. Impulsive as I can sometimes be, I might also treat myself to a change of scenery, so as to appreciate more fully the wonderment of things, within and beyond their original context. As someone who cut her wisdom teeth on Bible metaphors, and who is now the proud owner of a time share in Woo-Woo Land, I enjoy doing these things in a way that gets me out of my head and into the moment. Irreverent is good; church giggles are the crown jewel! Your approach might be different; I respect that. 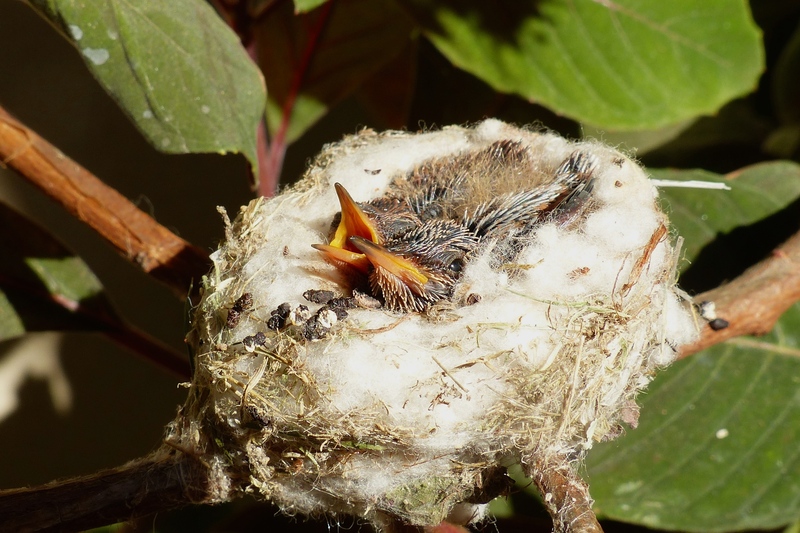 But in all circumstances, whether I’m photographing a nest or writing memoir, I like to show-and-tell the essence of things. It’s the perpetual student in me, I guess; the perennial teacher. Absent some important facts, the mystery of the abandoned egg (of Walela’s absence) remains unsolved. 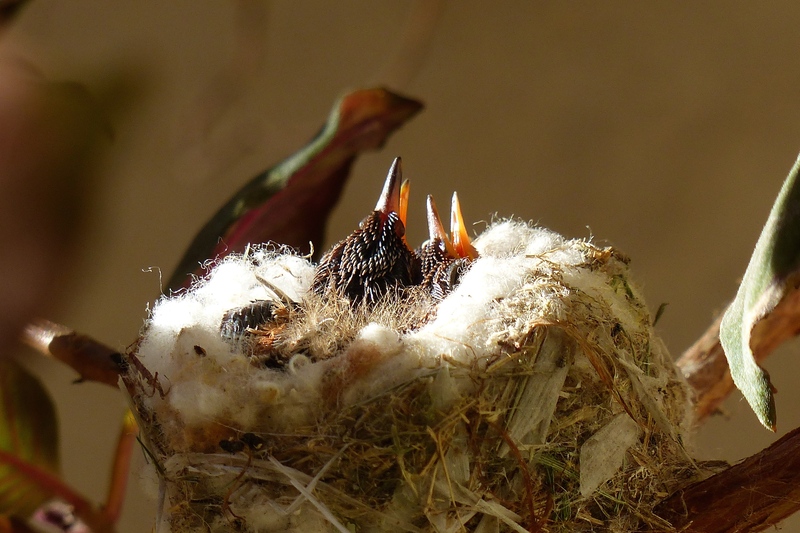 Here, the unseen hands of Mother Nature, moving as they always do, in grace and wisdom…the hands that guided Walela as she built her nest, and then shielded from harm the brood that successfully fledged. 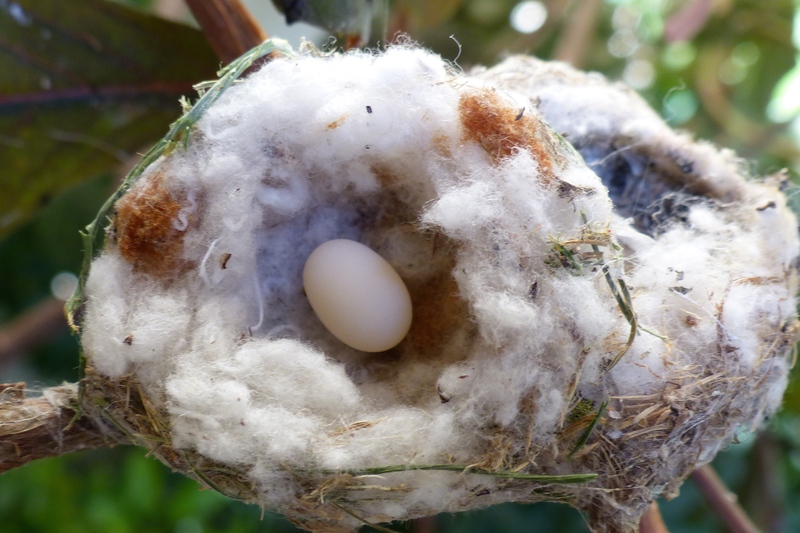 Earlier this morning, I buried Walela’s egg under the First Love gardenia bush in my backyard, right below the hummingbird feeders. And still, life. My springtime garden is vibrant, colorful. 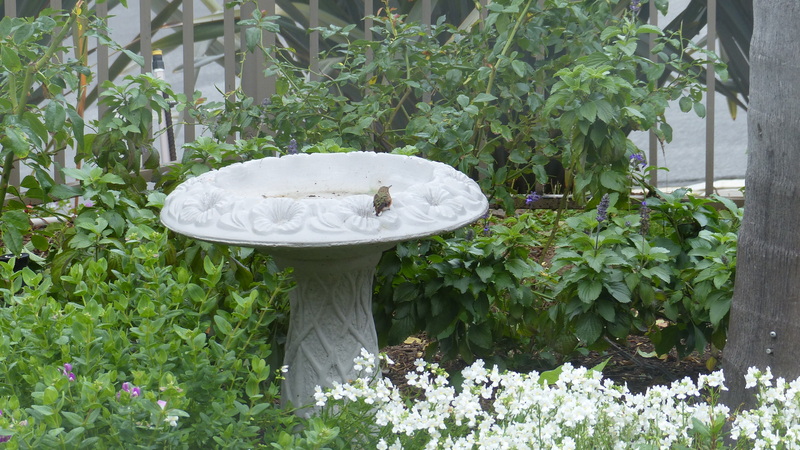 Birdsong floats through the air on ocean breezes; goldfinches line the fence, waiting their turn at the birdbath. Honeybees hum as they pollinate the salvia; those rascally rabbits still munch the leaves of my roses. 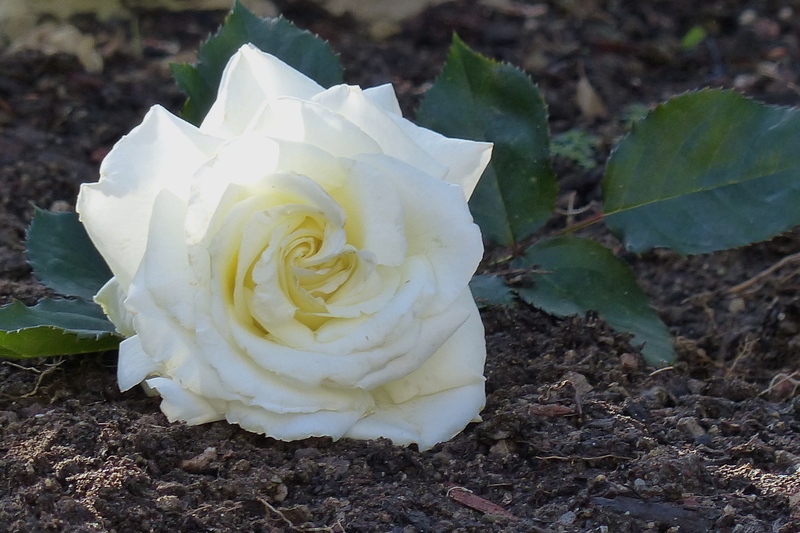 I placed a single white rose atop the freshly-turned earth. 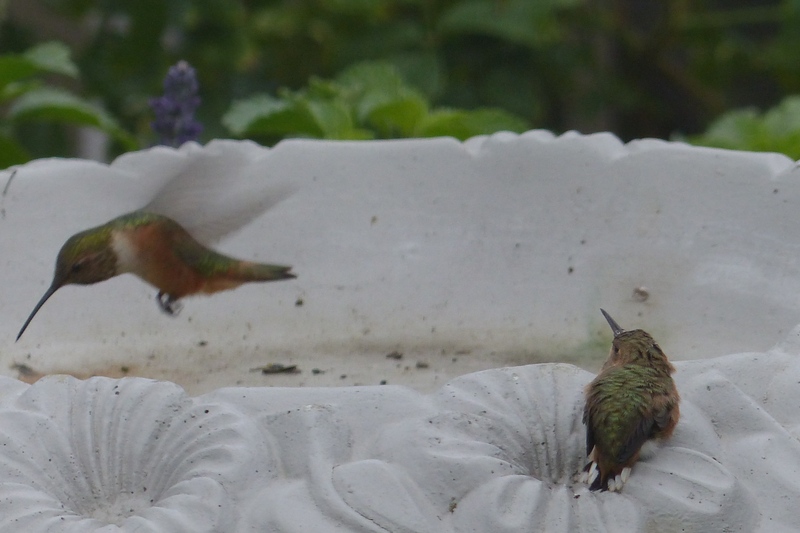 It was then that I heard a familiar click-click-click, followed by the tiniest of wind currents and the fluttering of wings. Life, still. My camera, this storyteller, is ready for the next chapter. Breathing out is a wonderful moment. The first egg in her second clutch. Two days later, Walela’s breathing is once again labored. We breathe as one in this moment. It was still dark this morning when I snicked the front door open. Just a sliver, mind you–I didn’t want to startle the remaining hatchling, but after two solid days of pounding rain and intermittent winds, I worried that she might be cold and wet. 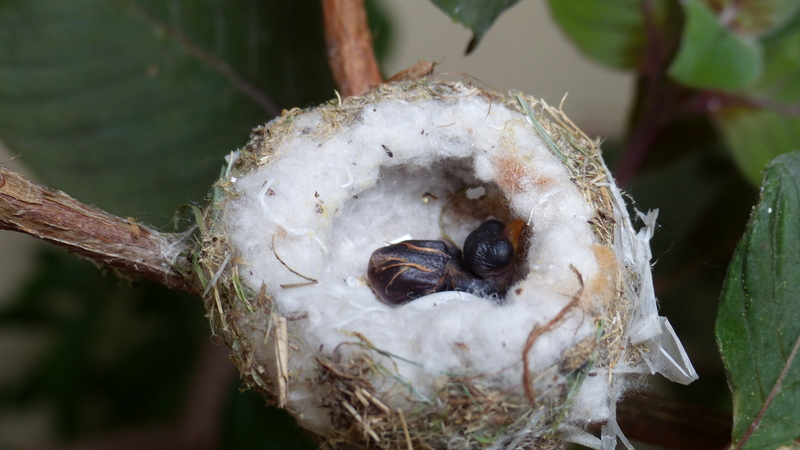 But there she was: cozy as could be inside her dry little nest. How wise Walela was, to have built their cushiony home under a roof overhang! Whew, what a relief! 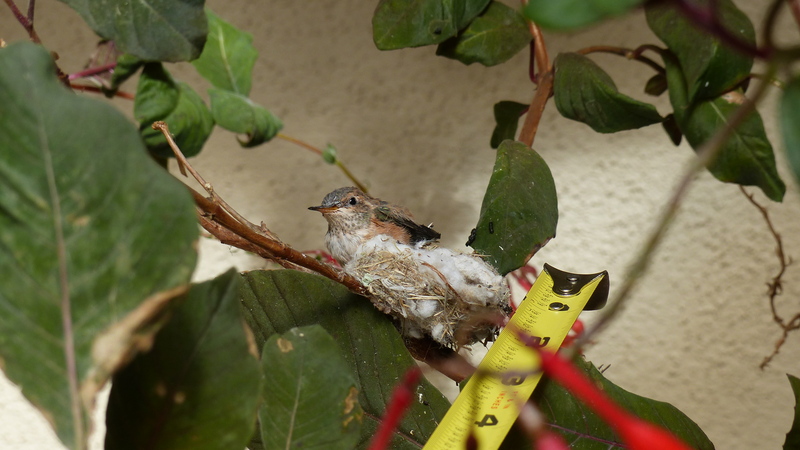 With a steaming mug of vanilla-hazelnut coffee at my elbow, I posted a blog update, in which I predicted she’d fledge sometime today. Not an hour later, my husband called me to the door. The nest was empty! I grabbed my camera and snapped a picture. 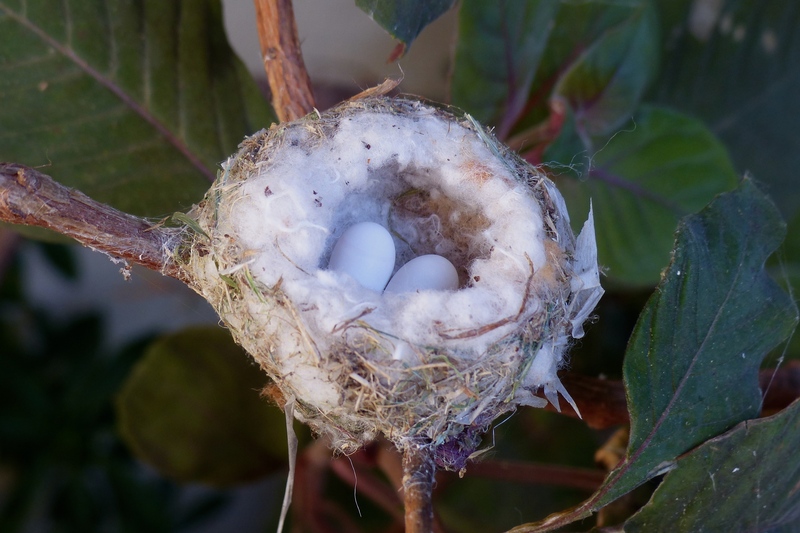 Just one, inadequate though it might be, to honor the nest that served Walela and her brood so well. 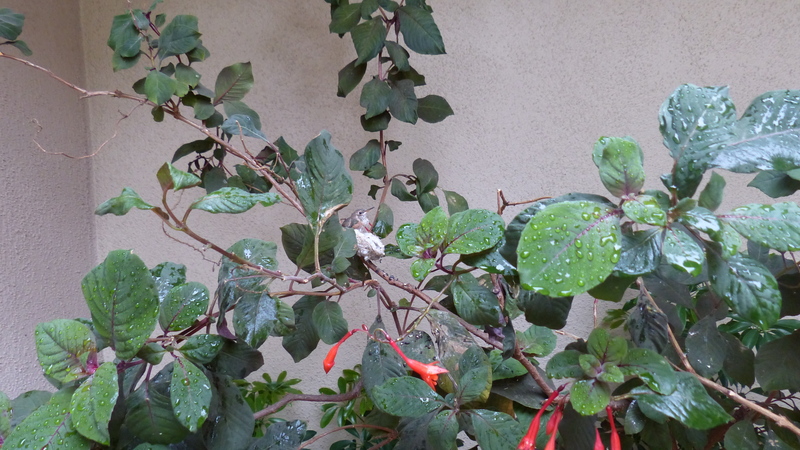 Jennifer returned to the fuchsia plant and perched herself on the slimmest of branches! She must’ve sensed Walela’s whirring approach, because with one eye focused on me, she turned her head and opened her beak. 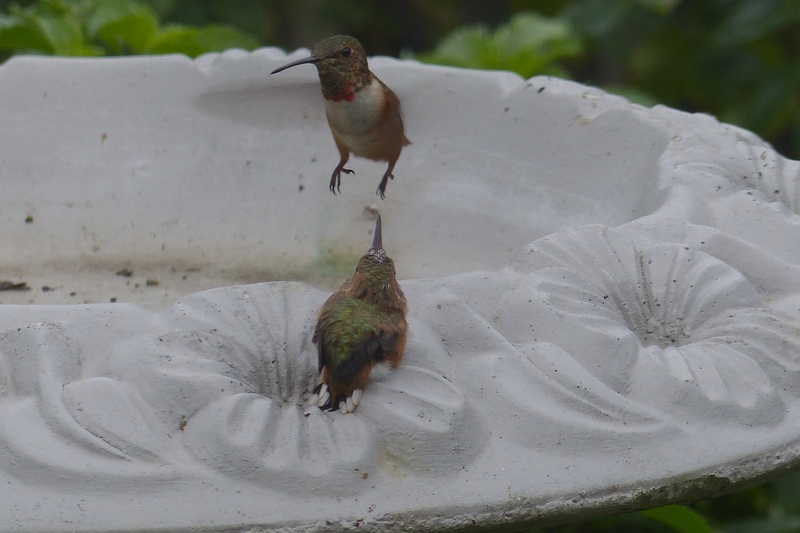 I didn’t capture the feeding itself, but seeing as how I’ve posted so many pictures and videos, here and on Facebook, I’ll bet you can easily imagine it in your mind’s eye by now. A small part of me is sad, of course. Who wouldn’t be, after cheering them on, for days on end? But more so, I’m celebrating. 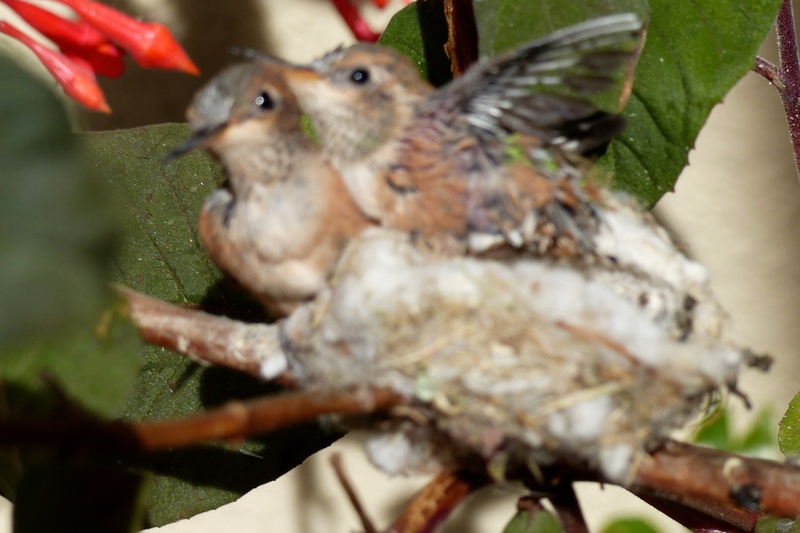 It rarely happens that both hummingbird hatchlings survive from egg to fledge, so I’m thrilled to know that Sunshine and Jennifer beat the odds. I’m still reveling in my experiences last week with the Harlem Gospel Choir. More to come about that, and soon, but I first need to find adequate words with which to express their shimmering magic. 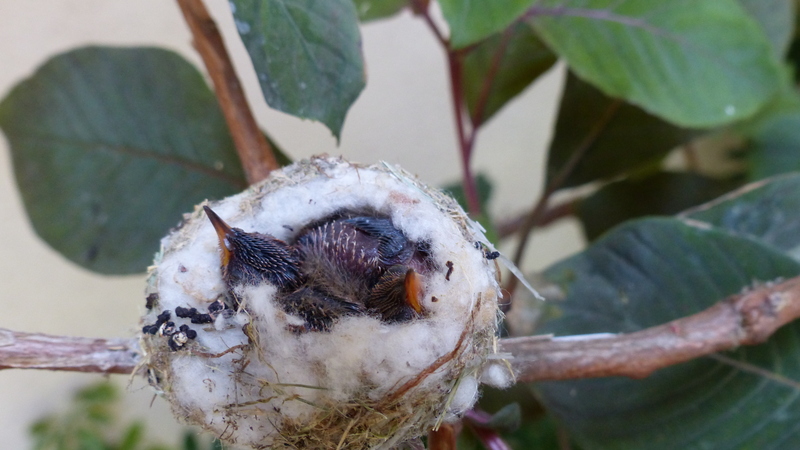 In the meantime, how about a hummingbird hatchling update? 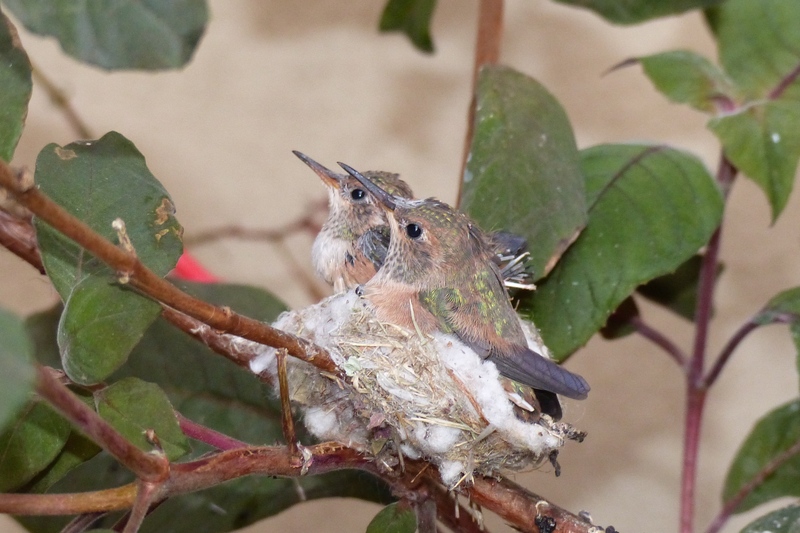 When last we visited their nest together, the siblings were doing flight simulations. Four days later, on February 19th, I witnessed something rare and wonderful. 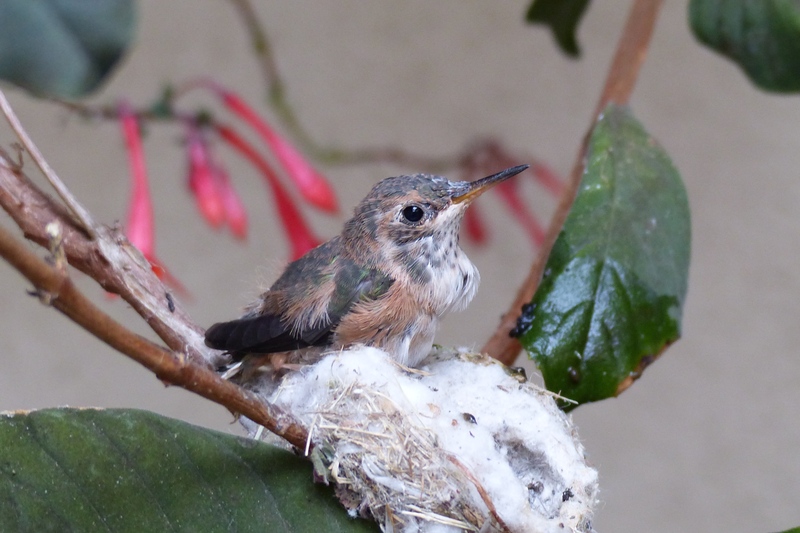 Walela’s babies been riding the wind currents all day, hanging ten on the edge of their nest. Whew, scary! If the video’s jumpy in a few spots, it’s because I was more than a little nervous. 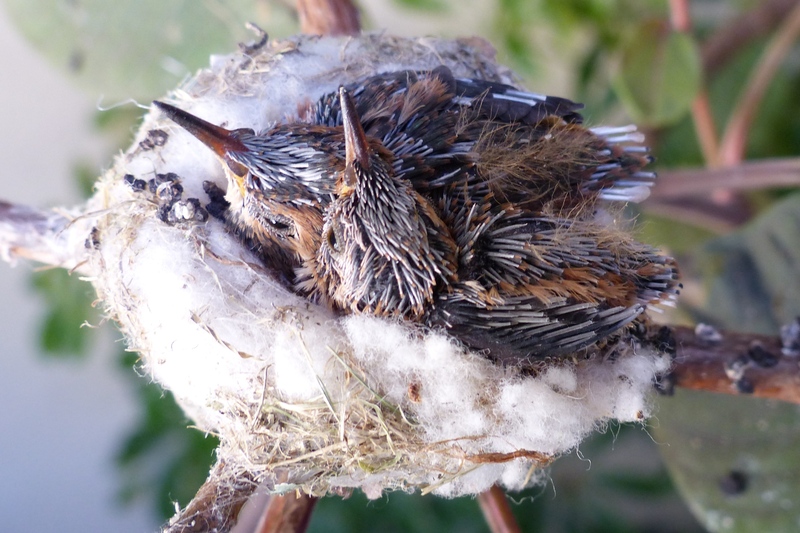 But when the winds died down, the birds were safely ensconced in their nest, seemingly unruffled by their wild ride. Later that same evening, I climbed our rickety wooden ladder, cell phone snugged to my ear so I could talk to my sister Sheryll while also snapping a few last pictures before nightfall. Quite the balancing act, I must say, but boy howdy, was it worth the effort! 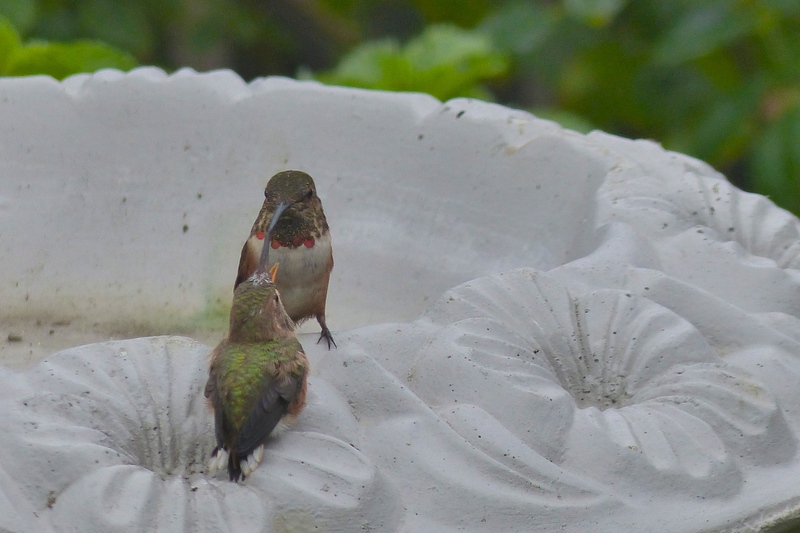 They were playing a game of do-so-do on their cottony perch, when suddenly…well, see for yourself. 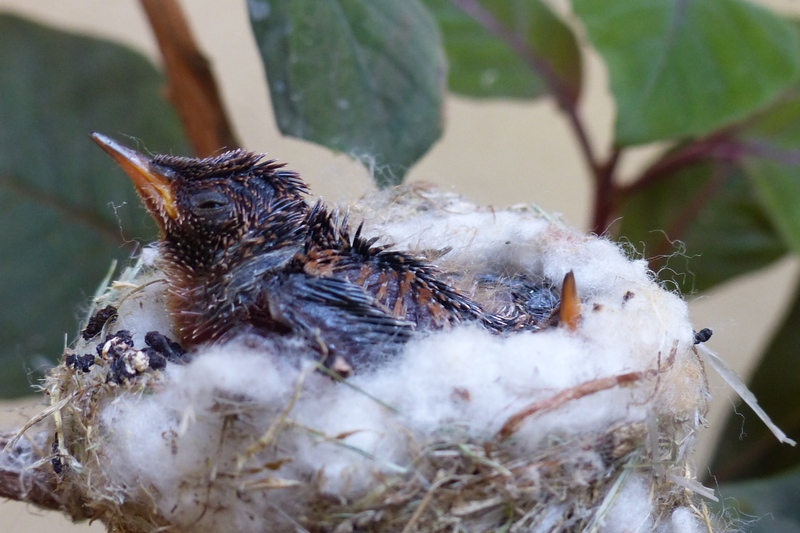 The bigger hatchling hovered over its sibling for just a few seconds, propelled itself backward and then soared on tiny wings over the red tile roof that sheltered it, from egg to fledge, in Walela’s nest. 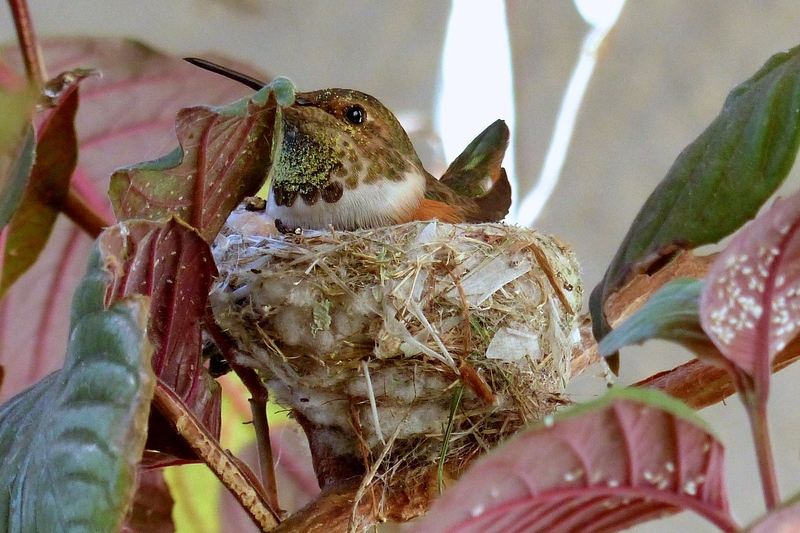 Walela’s nurturing her baby while it gets acclimated to life beyond the nest, as mamas are wont to do. Over the next several days, she’ll show Sunshine how to forage for food and survive on its own in the wild. Hovercraft mama that she is, Walela also watches over the hatchling that remains in the nest, preening its pinfeathers and practicing flight maneuvers on its own. 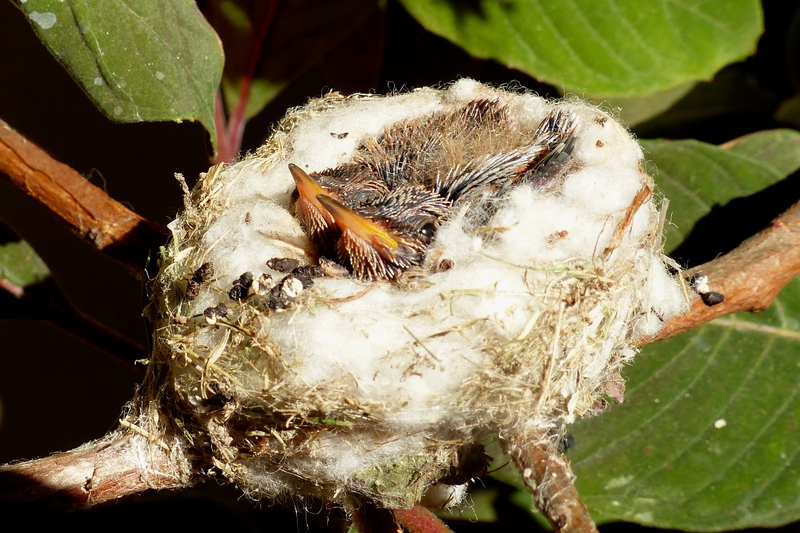 Here’s what it looked like, the day after its sibling fledged. Lonely, you think? 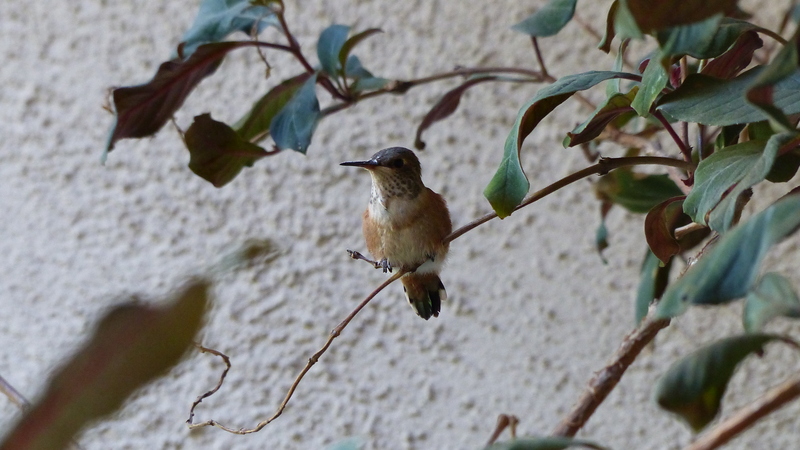 Walela visits often. I took these snapshots yesterday morning. We’ve since decided to call her Jennifer (“Jenny”), in memory of Reverend Jennifer Durant, who inspired many, living with ALS as she did–with a featherlight spirit and a heart filled with joy. She still has a few pinfeathers tucked into her tail, but I suspect Jenny will be taking to the skies sometime today or tomorrow. 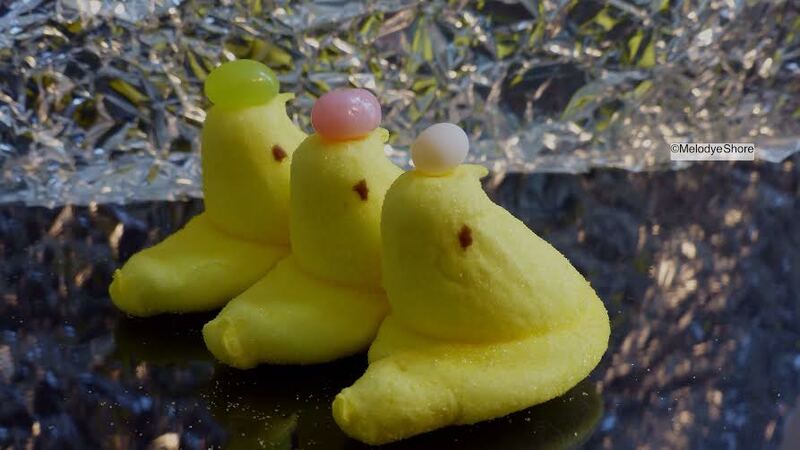 It may be hard for an egg to turn into a bird: it would be a jolly sight harder for a bird to learn to fly while remaining an egg. Walela’s hatchlings are 15 and 17 days old now. *sniff* Time flies, and wow, haven’t they grown? 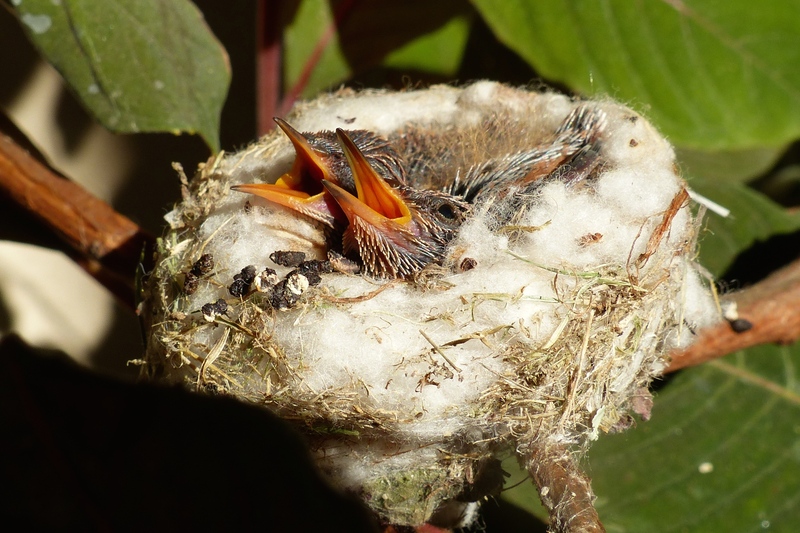 When they’re not snuggled side-by-side in the nest, waiting for Walela to bring them another meal, they’re flapping their wings and wriggling precipitously on its edge. This video footage shows them for the survivors they are. It ends on a really sweet note, but given all their daredevil aerobatics, it’s not for the faint-of-heart. 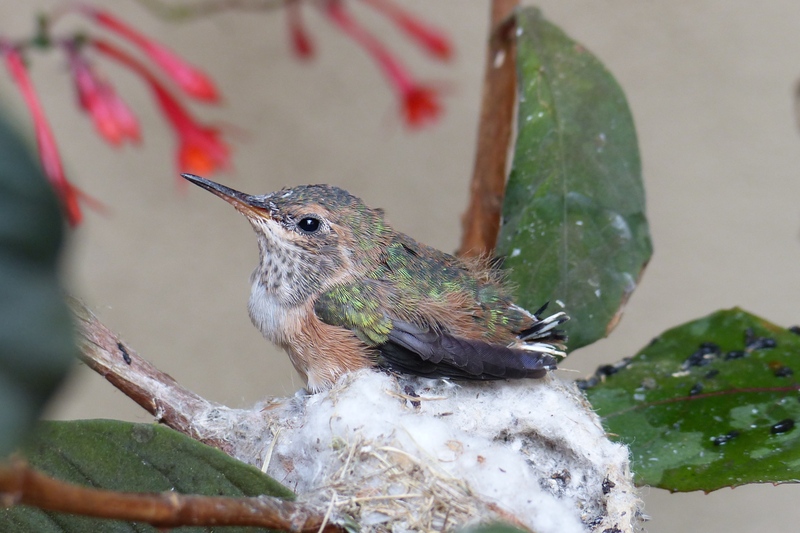 They’ll fledge within a week, so while these flight simulations seem scary to us as bystanders, they are critical to the hummingbird babies’ ultimate survival. Here’s a shorter, tamer video, for the good eggs among us who might’ve watched only a portion of the first video through splayed fingers. So funny, the way they poke Walela’s chest with their growing beaks, as if to say, “Mom, Mom, is it lunch time yet? 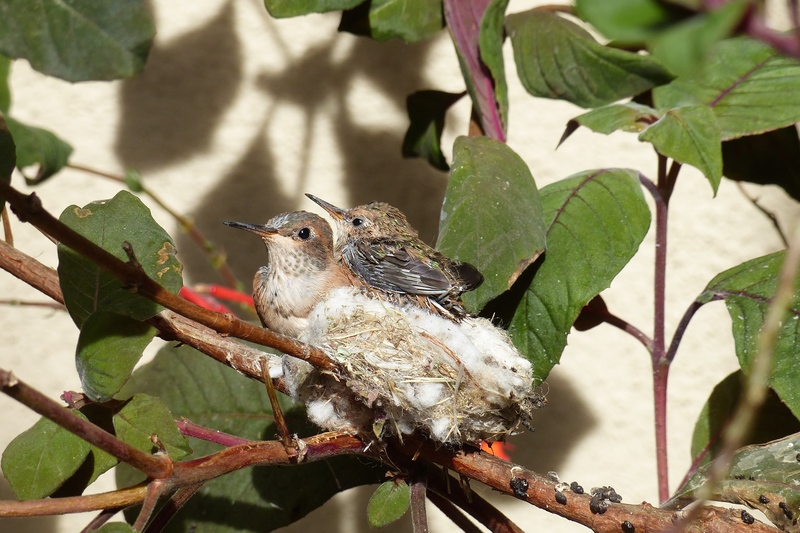 Mom?” And see how she preens their pinfeathers at the end? 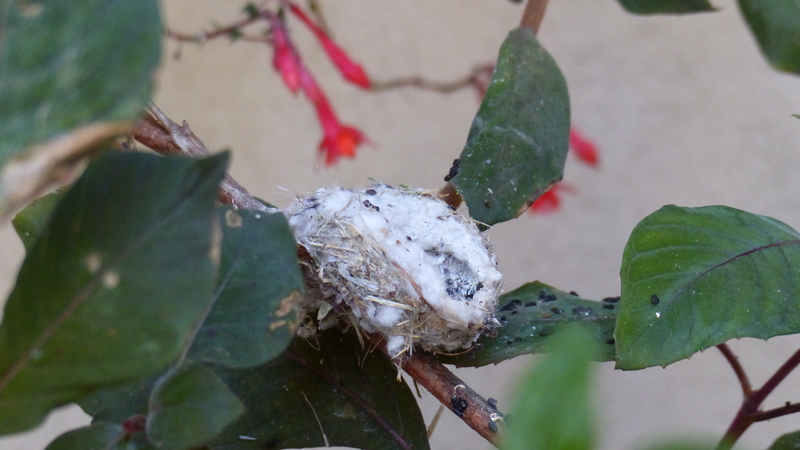 My heart was heavy when I positioned the stepladder beside the fuchsia plant in which Walela had built her nest. 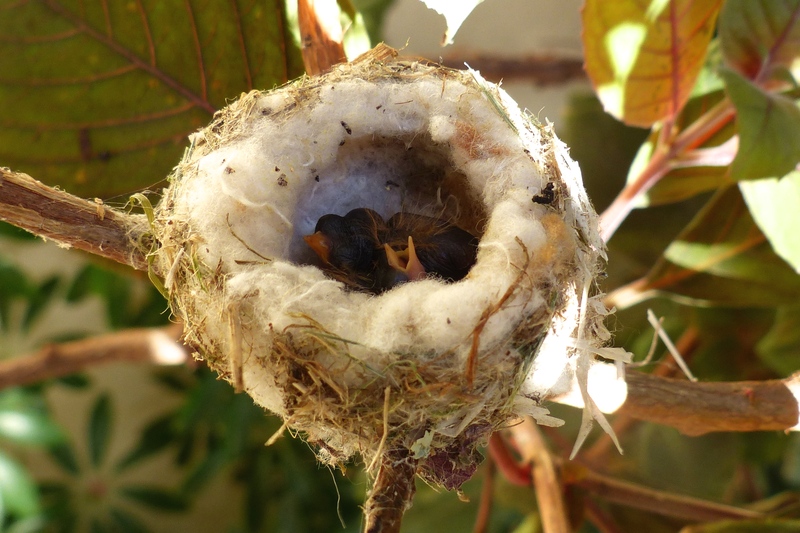 Why had one of the hatchlings died, I fretted, and why hadn’t the mama hummingbird removed it from the nest? 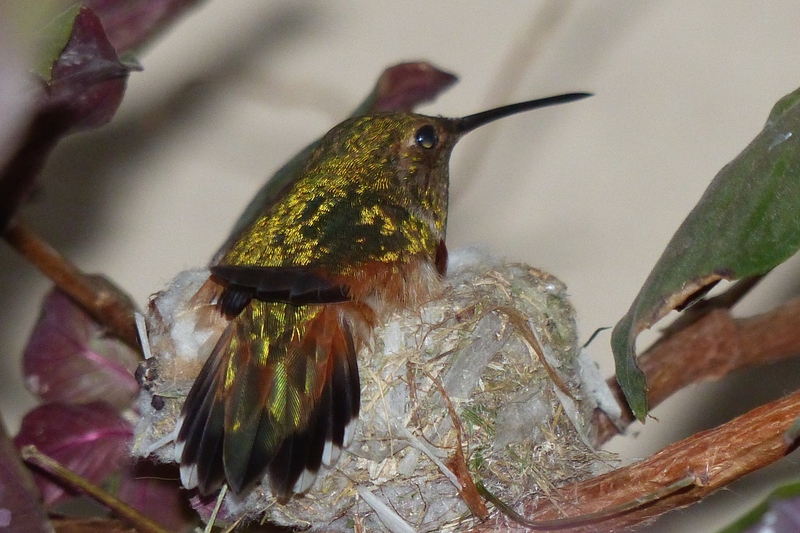 Her nest was steeped in shadow, so I decided I’d wait to take pictures until later in the day. One last look, I told myself when I reached the front door. But when I glanced over my shoulder, I did a double-take. I couldn’t believe my eyes. I’ll check again later, I told myself. Wait and observe, as my friend Amy suggested. My knees were shaking when I climbed the ladder again a while later. Here, ensconced in a walnut-sized nest, the very essence of hope. My hands trembled when I pressed the shutter. Could it be? Your deepest presence is in every small contracting and expanding. We celebrated my friend Karin’s birthday last Friday by getting together at my house for lunch. “A rare fusion of fluff and majesty,” she’s a peony in my friendship garden. 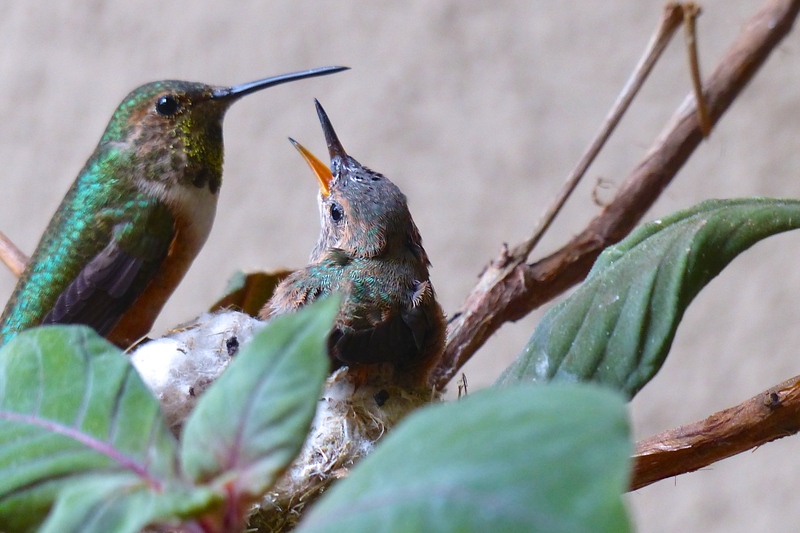 One of the highlights of the afternoon: Seeing pure, unadulterated joy spread across Karin’s face as she climbed the ladder and peeked into Walela’s hummingbird nest. And look! Walela took the spotlight in her evening wear, right after she left. 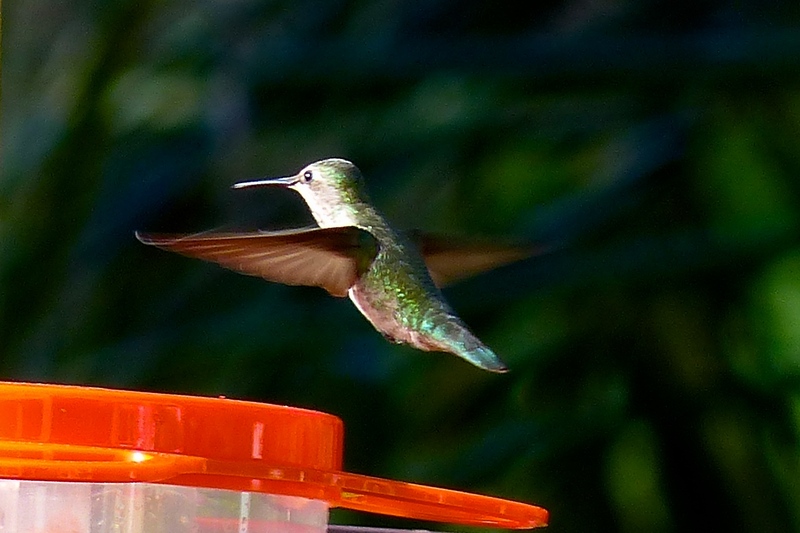 Those iridescent feathers rival anything haute couture we might’ve seen at the Grammys last night. Agree? For reasons unknown to us, the hatchling to the right of the screen didn’t make it. That’s Mother Nature’s doing, and the undoing of some who are fortunate enough to witness miracles like this as they unfold. Of course I’m sad–who wouldn’t be? But I’m comforted by the fact that there’s a greater power at work here, with wisdom beyond our own understanding. Shadows sometimes fall when we least expect them. But sure as daylight follows night, “Joy cometh in the morning.” Want proof? This little guy just opened his peepers! 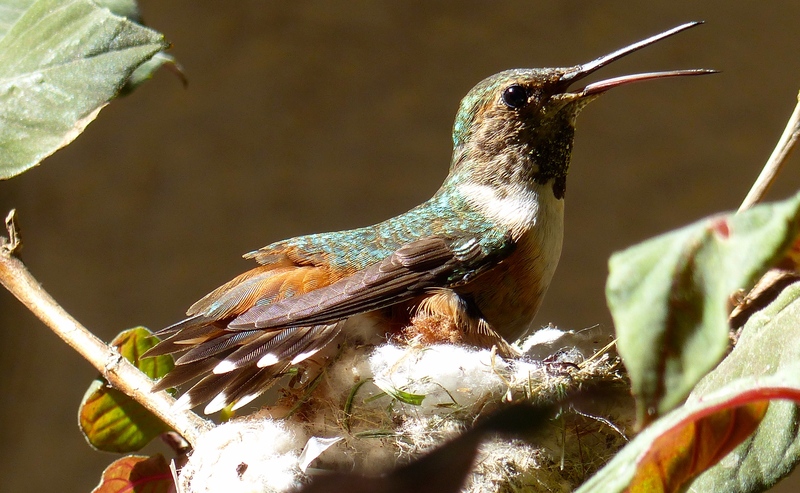 “Walela” (Wah-ley-lah) is the Cherokee name for hummingbird. 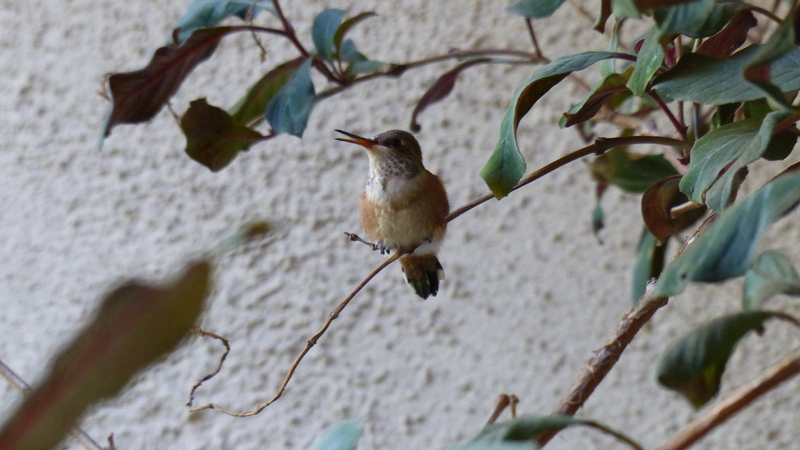 Meet Walela, the Allen’s Hummingbird mama who’s taken up residence in the fuchsia bush beside my front door. 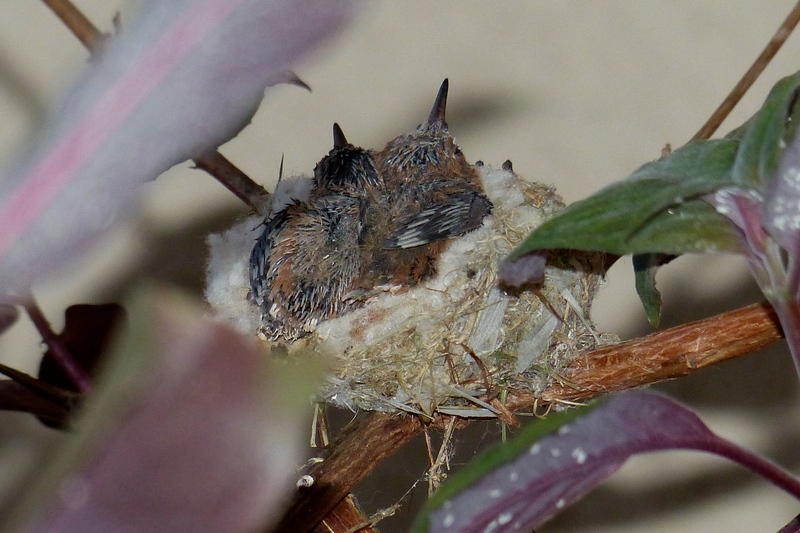 She’s sheltering two hatchlings in her feather-soft nest. And no small measure of joy.